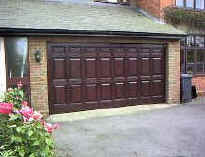 Open your garage door at the press of a button ! A touch of a button from the comfort of your car, will open, close, and automatically lock your garage door effortlessly, come rain or shine, day or night ! 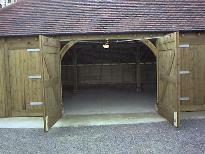 For single doors . . . . . . . .
traditional barn doors . . . . . Together we make a great team !